It is ideal for a washing basket in a baby's room. 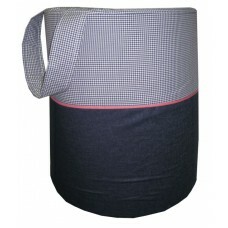 It is made with foam and has a removable washable cover. It can later be used as a toy barrel.